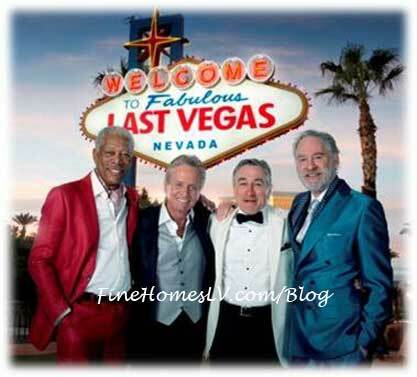 CBS Films and Good Universe announced today that principal photography on the comedy LAST VEGAS has commenced in Las Vegas, Nevada and will continue to shoot in Atlanta, Georgia. In addition to filming on the iconic Las Vegas Strip, the cast will also shoot at ARIA Resort & Casino. Directed by Jon Turteltaub (National Treasure, While You Were Sleeping) from a screenplay by Dan Fogelman (Crazy, Stupid, Love, Tangled), LAST VEGAS co-stars OscarR-winner Mary Steenburgen (The Help), Jerry Ferrara (Think Like A Man), Romany Malco (Weeds) and Roger Bart (Political Animals). The ensemble comedy follows four old friends who decide to throw a Las Vegas bachelor party for the only one of them who has remained single. LAST VEGAS is being produced by Laurence Mark (Julie & Julia, Dreamgirls) and Amy Baer. Nathan Kahane and Lawrence Grey are serving as executive producers. Good Universe’s Matt Leonetti is co-producing. Executive Vice President of Production Maria Faillace and Creative Executive Alex Ginno are overseeing the project for CBS Films. Nicole Brown, Executive Vice President of Production, is overseeing the project for Good Universe which is also handling international sales.